50 issues of The Pointer, a student newspaper published by the High Point High School senior class, and provided by the High Point Museum, are now on DigitalNC. The issues span 1921-1954 and provide a glimpse into the lives of students in the High Point area. Although the newspaper was published by the Senior class, it was expressly written for the whole district, including town members, to read. In the November 21, 1921 issue, there’s even a short article about Principal Ada Blair of the Grimes street school using the newspaper as a reading text for her 6th grade class. Articles highlight topics that include changes in faculty, athletic events, and information on school clubs. Some articles talk about school sponsored social events. In the January 17, 1923 issue of The Pointer, rules are laid out for what activities can occur at a school sponsored party. The rules state that dancing is not allowed as “the majority of the people in High Point disapprove of dancing”, but “suitable games and other similar activities to engage the attention of students attending must be prepared” in order for the High School to sponsor a social event. In accordance to these rules, the Sophomore class came up with an interesting party idea described in the February 14, 1923 issue of The Pointer. Members of the class attended an automobile themed party that included tire changing and radiator filling contests. For more information about our partner, the High Point Museum, visit their contributor page, or take a look at their website. Thanks to our partner, the Johnston County Heritage Center, 10 yearbooks have been added to the North Carolina Yearbooks Collection. The high schools featured in this batch include Micro High School, Benson High School, and Kenly High School. Two yearbooks of particular interest are Portals  and the By-Gones  both from Benson High School. They both offer a unique look into the lives of youth, schools, and communities during the 1920’s. 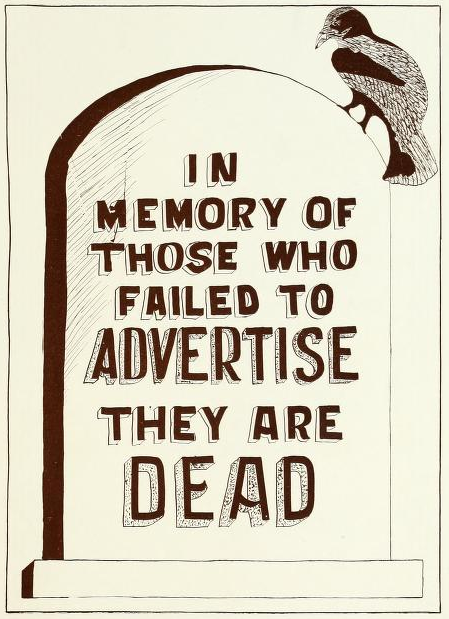 They also feature several witty superlatives and advertisements, like the one featured below. To learn more about the Johnston County Heritage Center, please visit the contributor page or the homepage. 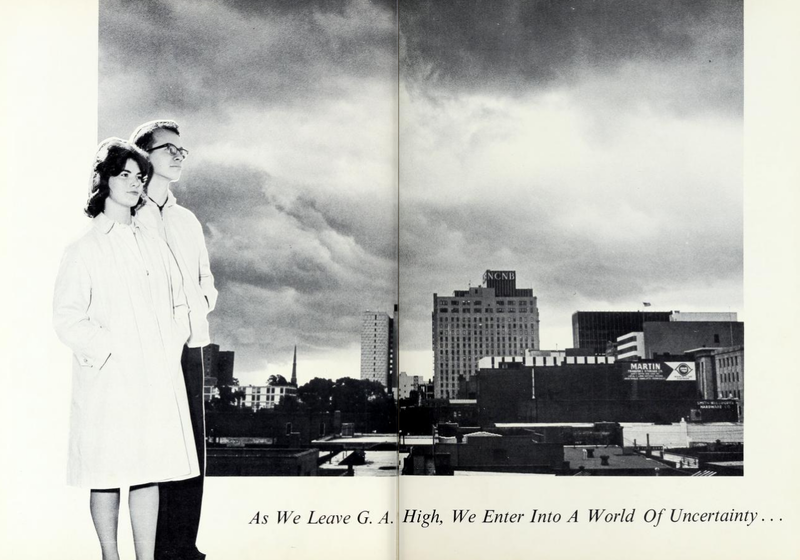 To see more high school yearbooks like these, please visit the North Carolina Yearbooks Collection. Perhaps you’ll find yearbooks from your high school or you community! We are currently experiencing technical issues with items that use the page-flip/”book reader” viewer on DigitalNC.org (yearbooks, campus publications, and assorted others). We host the images for these items externally at the Internet Archive (Archive.org), and our systems are currently having trouble fetching images from their servers. We apologize for any inconvenience! As we work to find a solution, please try searching for affected items directly through the Internet Archive and feel free to contact us with any questions. 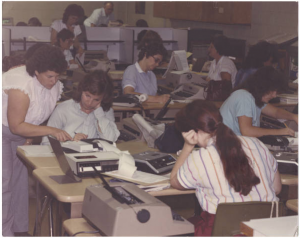 We are still working to restore functionality to yearbooks, campus publications, and the other materials on DigitalNC.org that use the embedded page-flip or “book reader” viewer. In the meantime, we’ve replaced the nonworking viewer on item pages with a link to view the item on Archive.org. This is expected to be a temporary change. Thank you for your patience! We are still waiting for a response from Archive.org and are hopeful that we will be able to restore our original book viewer. In the meantime, we have enabled a replacement viewer for affected items. This viewer is similar to to the original, but does not integrate as seamlessly with the rest of DigitalNC.org; if you have any questions please feel free to contact us. Do these statements ring a bell? Do they echo the same statements being bandied about this election year? It appears that for at least the past 56 years, since the first televised presidential debate in 1960 between John F. Kennedy and Richard Nixon, the American public has not found much confidence in what they were seeing. 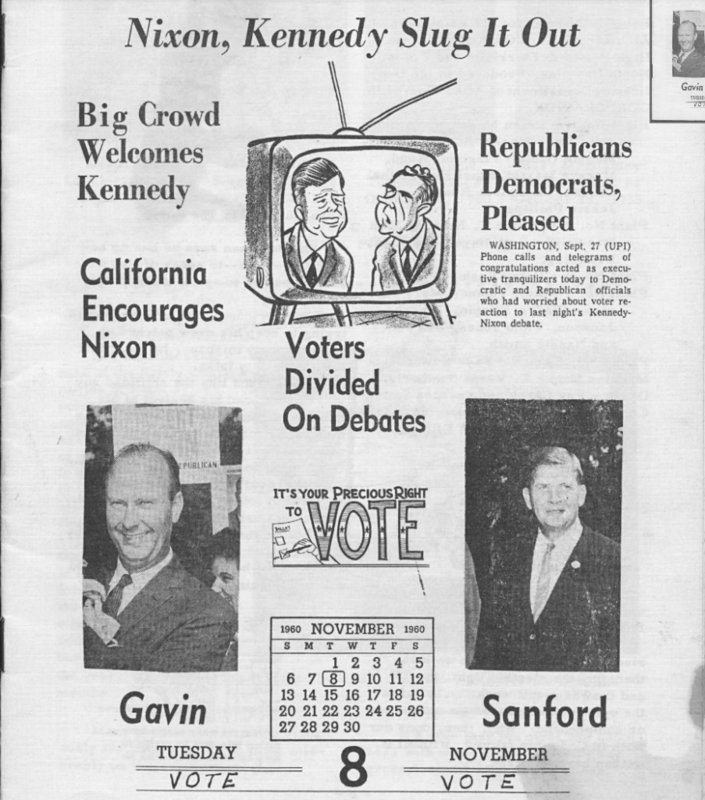 So if you’re feeling downhearted about the slinging happening in the 2016 election, perusing our newspaper collection will let you know that it is nothing new. 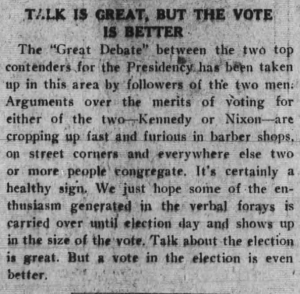 One thing we can all probably agree on is the editorial comment from the October 15, 1960 issue of The Carolina Times from Durham as early voting starts up today in North Carolina. The Carolina Times. October 15, 1960. Page 2. 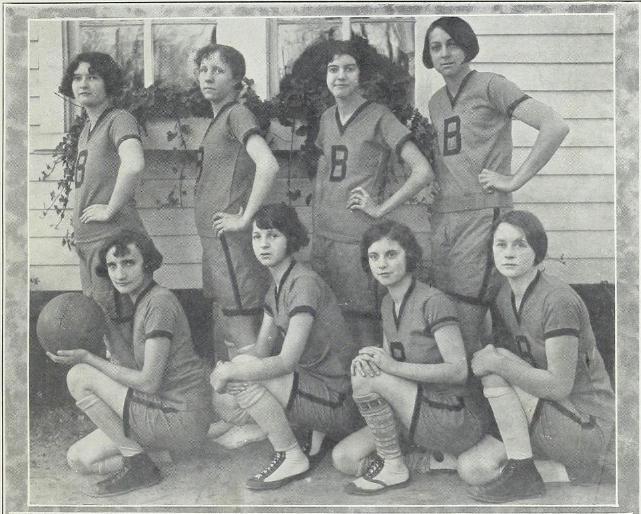 More than 60 yearbooks from the Burke County Public Library are available on DigitalNC. Our new partner, Burke County Public Library, has branches located Morganton, Valdese, and Hildebran, NC. 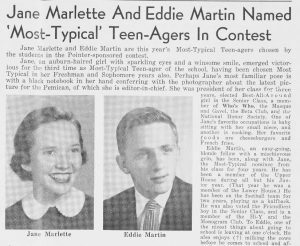 These yearbooks could be useful for anyone interested in genealogy of the area or for flipping through just for old time’s sake. To learn more about the Burke County Public Library, please visit the contributor page or the homepage. 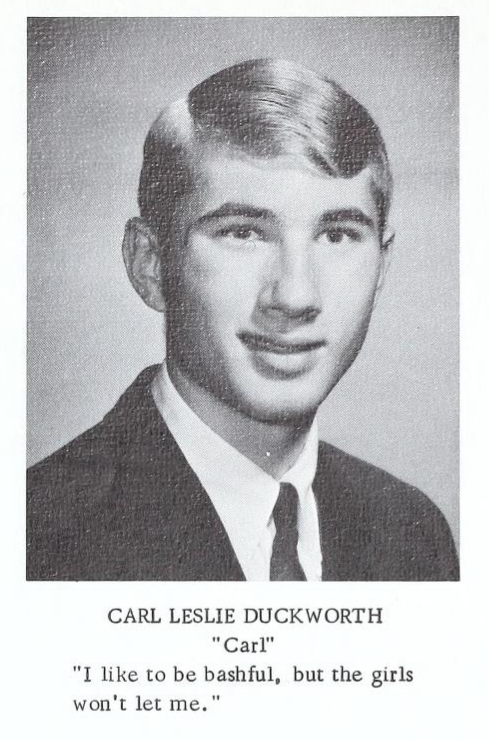 To see more high school yearbooks like these, please visit the North Carolina Yearbooks Collection. Perhaps you’ll find yearbooks from your high school! 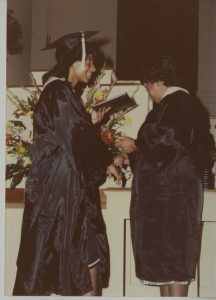 The first batch of photographs depicting student life and academics at Central Carolina Community College are now online. 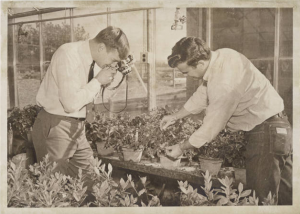 The photographs date from the 1960s to the 1990s and show primarily students studying agriculture, accounting, automotive mechanics, and broadcasting. This group of photographs was the first of many that we will be digitizing for Central Carolina, which is located in Sanford, North Carolina in Lee County. 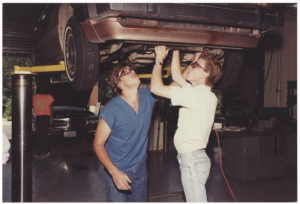 To learn more about our partner Central Carolina Community College and see other materials they have had digitized, visit their partner page here. To view more photographs contributed by institutions all over the state, visit our Images of North Carolina collection. 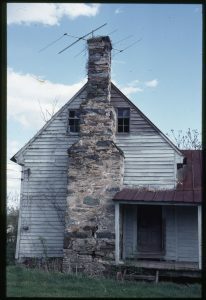 DigitalNC has added the last set of slides from the Early Rockingham County Architecture Collection. 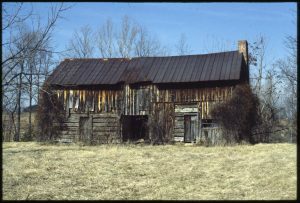 This collection of slides, provided by Rockingham Community College, was taken in the 1980s and includes images of homes, schools, businesses, factories, mills, farms, churches, and many other historic buildings in Rockingham. While some of these buildings have since been demolished, many are standing today and information on dates of the buildings as well as location are included in the image descriptions. The new set of slides focuses mainly on images of historic homes and plantations like the Thomas Ratliffe House, Willow Oaks, and the Lower Sauratown Plantation. While most of the slides show the exteriors of buildings, there are also many interior shots of architectural details, like stairways and fireplaces. To learn more about previous sets we have put online, view blog posts here and here. 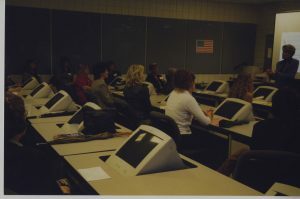 Check out the newly added and previous slides in the Early Rockingham County Architecture Collection, and learn more about Rockingham Community College on the contributor page or by visiting their website. If you are interested in Rockingham County history, also take a look at the Rockingham County Legacy exhibit. Volumes 106 through 115 of the Francis B. Hays Collection of scrapbooks from Granville County Public Library are now up on DigitalNC. These scrapbooks add to the extensive collection of volumes compiled by Mr. Hays, an avid local historian from the Granville area. 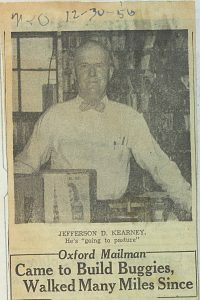 Each scrapbook contains a wealth of articles related to a specific subject, and many contain indexes and short histories hand penned by Mr. Hays. This batch of Scrapbooks focuses mainly on topics of commerce and transportation. Volumes 106, 107, and 108 focus on Tobacco sale and production in North Carolina. Volumes 109 and 110 collect newspaper articles about automobiles. Volume 111 includes hand-written biographies and newspaper articles about important people in and around Oxford, North Carolina. Volume 112 focuses on airplanes, Volume 113 on railroads, and Volume 114 on the postal service. Volume 115 details the history of banking in Oxford. For more Francis B. Hays scrapbooks, you can visit the DigitalNC page for the Francis B. Hays Collection or view our previous blog posts on the collection. 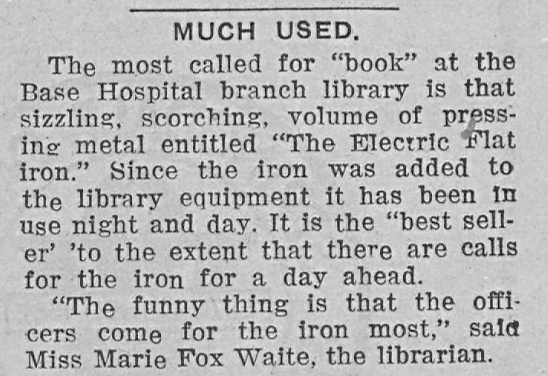 You can also see more materials from the Granville County Public Library. 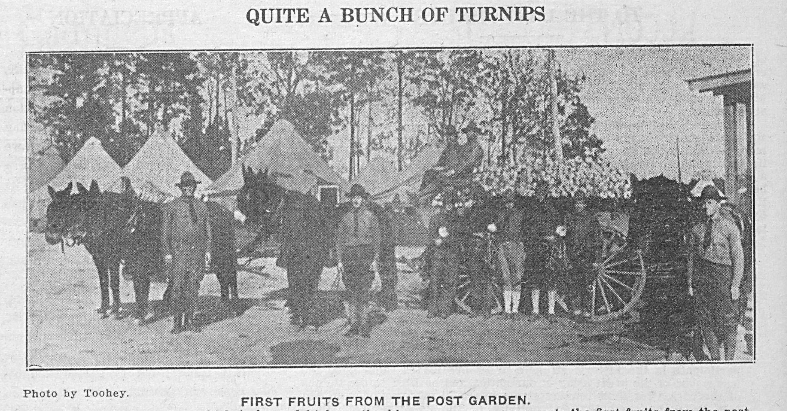 The latest batch of materials from Charlotte Mecklenburg Library includes an interesting look at life during World War I in North Carolina–documented through newspapers. The Caduceus, published from the Base Hospital at Camp Greene, gives a detailed look at the goings on of soldiers, doctors, and nurses during their time stationed in Charlotte. Camp Greene held more than 40,000 troops, rapidly approaching the population of the entire city of Charlotte (46,000 in 1920). The Base Hospital was a 2000 bed complex, staffed by many doctors and nurses. Many of these enlisted personnel wrote articles for the paper, which was published every Saturday. Funded through the advertisements purchased by local businesses, publishers encouraged those living at the camp to patronize businesses located nearby. 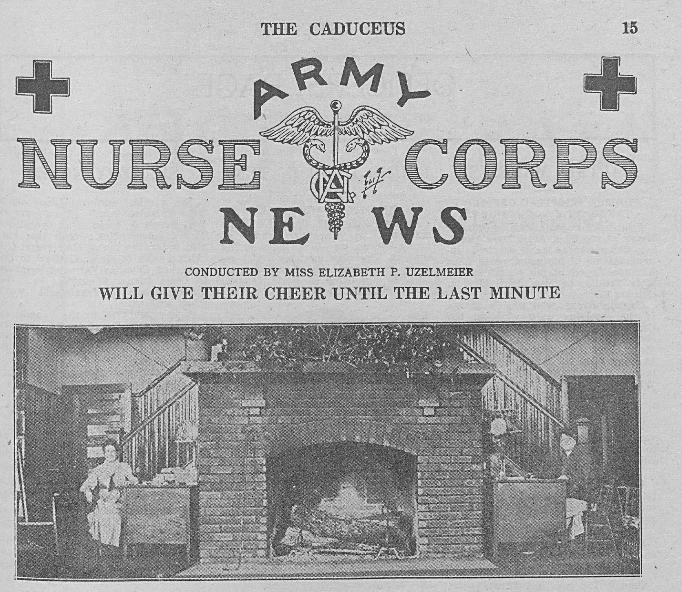 What sets the Caduceus apart from other camp newspapers during the period is its documentation of events happening at the camp specifically, as opposed to the national and war updates given by other papers. From baseball games verses local teams to the performances of soldiers’ choral groups, the Caduceus documents many of the weekly activities of those based at the camp. The images below represent some of the many types of materials published in the paper. Another fascinating feature of this batch is the weekly section authored by nurses serving at the camp. The “Army Nurse Corps News” offers a look into the lives of the many women who also served their county during WWI. These sections of the paper published news, poetry, and biographical information about nurses who were on the base, especially the new arrivals. This could be an excellent resource for researchers studying women’s roles in WWI, even outside of North Carolina. 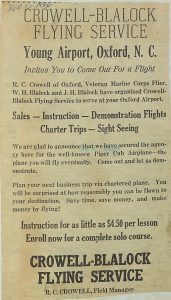 To learn more about Camp Greene, check out the Trench and Camp and the corresponding blog post, another newspaper from the camp during WWI, available on DigitalNC. To learn more about the Charlotte Mecklenburg Library, please visit their contributor page or the homepage. To see more newspapers from North Carolina, including those that cover WWI in our state, please visit the North Carolina Newspapers Collection. 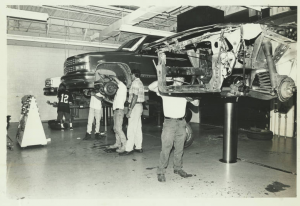 Our new partner, Sampson Community College, has contributed a series of images that are now available on DigitalNC. 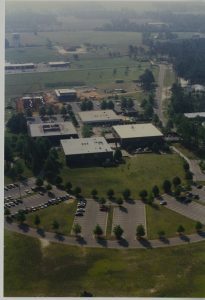 Sampson Community College was established in 1965 as an extension unit of Goldsboro Industrial Education Center. In 1972, it became an independent unit and took on the Sampson name. Over the years, it has undergone many expansions and now serves over 5,000 traditional and extension students. 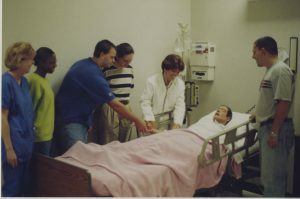 This series of photographs show many aspects of life at Sampson Community College through the years, including classes, graduation ceremonies, athletic teams, and student clubs. Many photographs also document the construction of the West Building and the South Building in 1987 and 1988. To learn more about Sampson Community College, visit their website, or their explore their collection on DigitalNC.